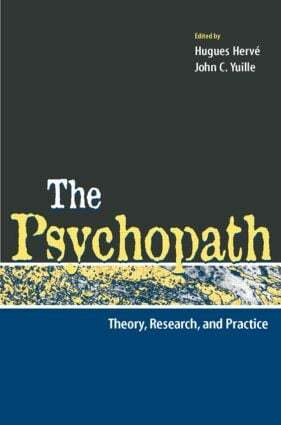 The Psychopath: Theory, Research, and Practice is a comprehensive review of the latest advancements in the study of psychopathy. As research into psychopathy over the past two decades has burgeoned, it has had significant implications for clinical practice, with important ethical considerations raised as interest into psychopathy has moved into the real world. This volume is the first comprehensive review of these applied topics. Dr. Robert Hare, a leading authority on the subject, introduces the work by discussing the current state of psychopathy research, highlighting its advancements, potential pitfalls or impediments, and future trajectory. Subsequent chapters give a historical overview of psychopathy, examine measurement issues, etiological theories, and practical considerations. The Psychopath provides a solid foundation from which research and practice into this socially destructive condition can advance into the 21st century. This book will attract academics, researchers, theorists, practitioners, lawyers, judges, law enforcement personnel, students, and other professionals interested in or working with forensic psychology. It also serves as a supplementary text for graduate students enrolled in programs with a specialization in forensic psychology or criminology. Psychopathy in Youth: A Valid Construct?